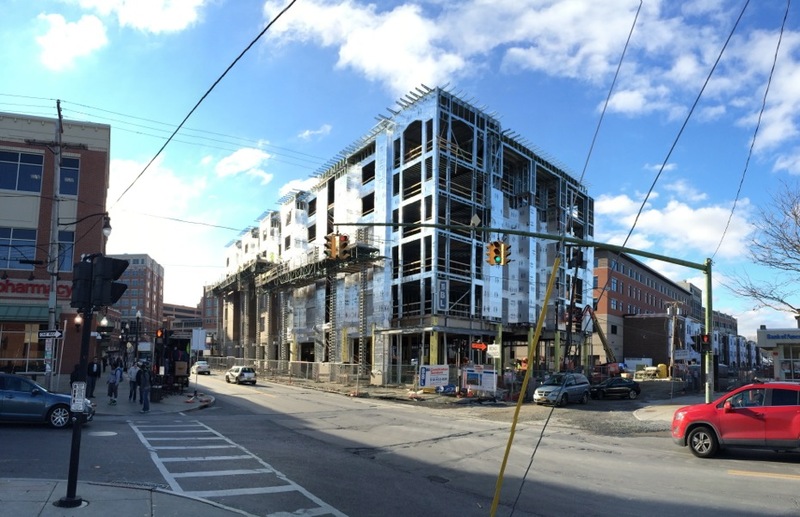 New Scotland Ave and Myrtle Ave -- Albany Med is just to the left across Myrtle. Looking up Myrtle. That's the medical office building in the foreground and parking garage in the background. Corner of Robin Street and Myrtle. Those smaller buildings in the foreground will be residential. 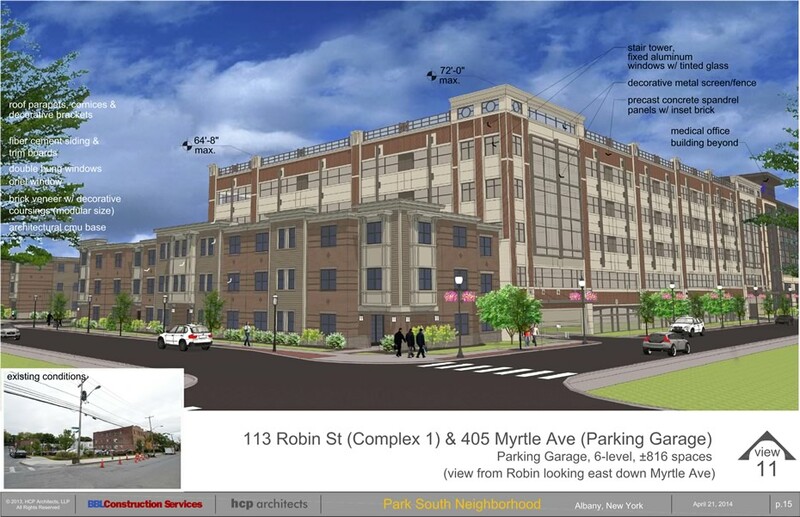 A rendering for the Robin and Myrtle view, for comparison. Looking east along Morris Street (from Robin toward New Scotland). These buildings will also be residential. New Scotland and Morris. These tall buildings will be mixed use -- commercial/retail on the street level, residential above. 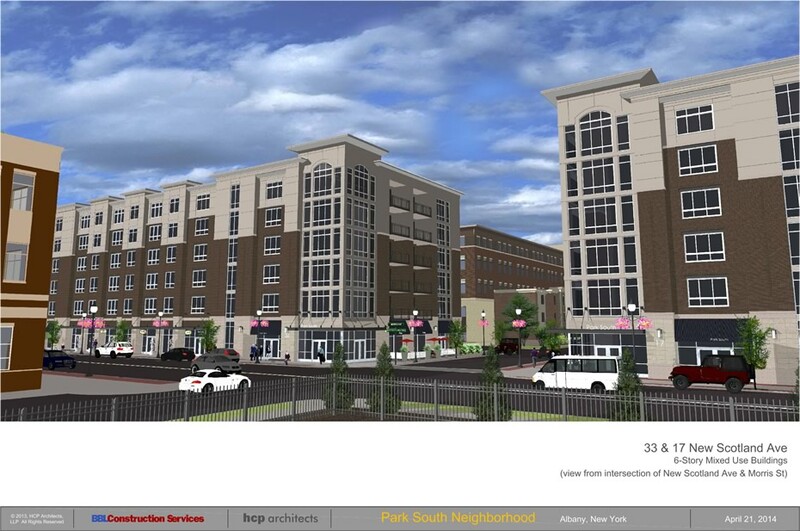 One of the final renderings for this spot, for comparison. 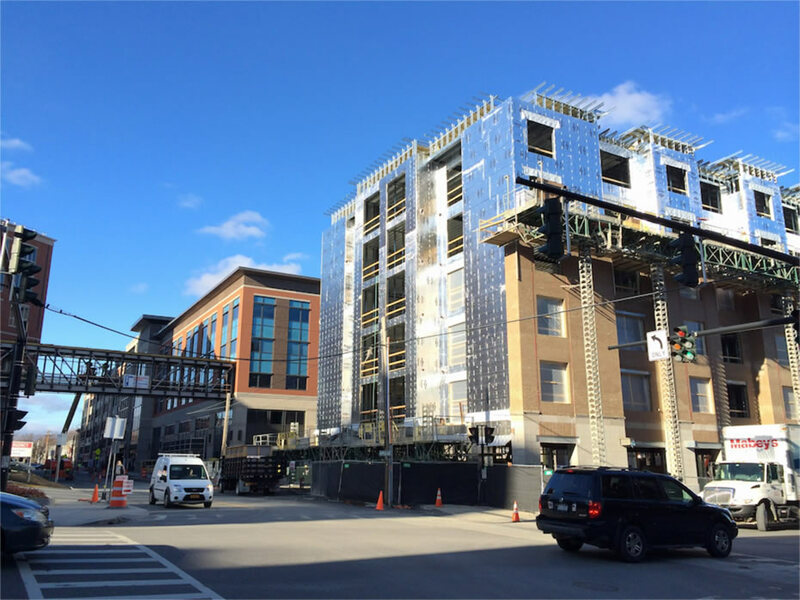 Updated with comparison renderings, and building completion target dates. We had a chance to stop by the Park South redevelopment site in Albany Wednesday to have a look at how things are coming along. 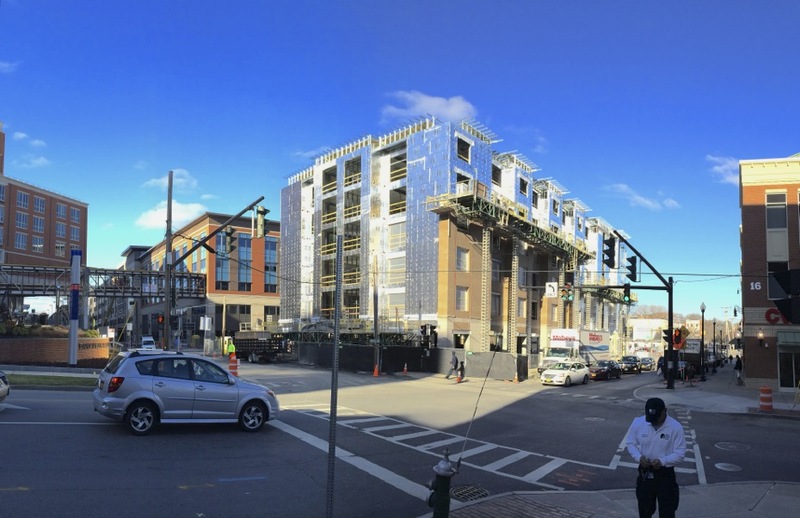 There's been significant progress on the construction of the $110 million project, which when finished will include more than 265 residential units, retail space along New Scotland Ave, a large medical office building, and a parking garage. 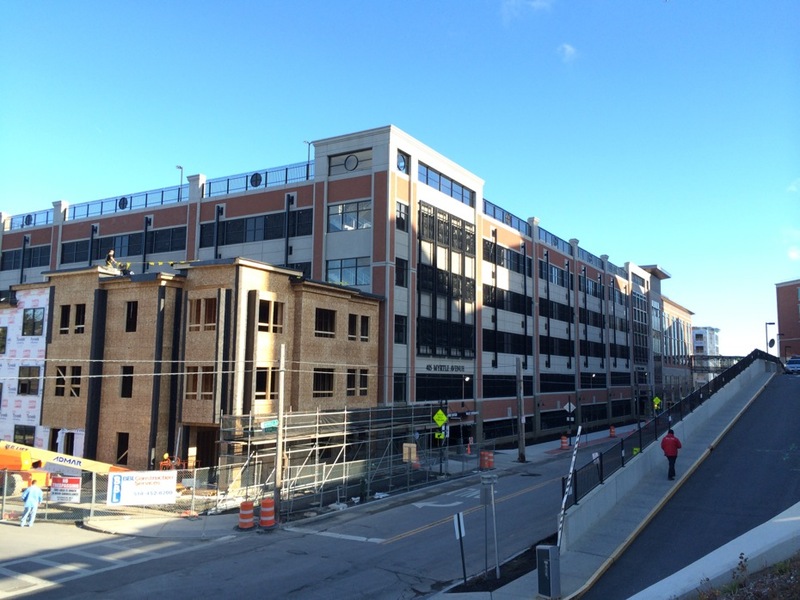 The garage and medical office office building on Myrtle Ave are already up. 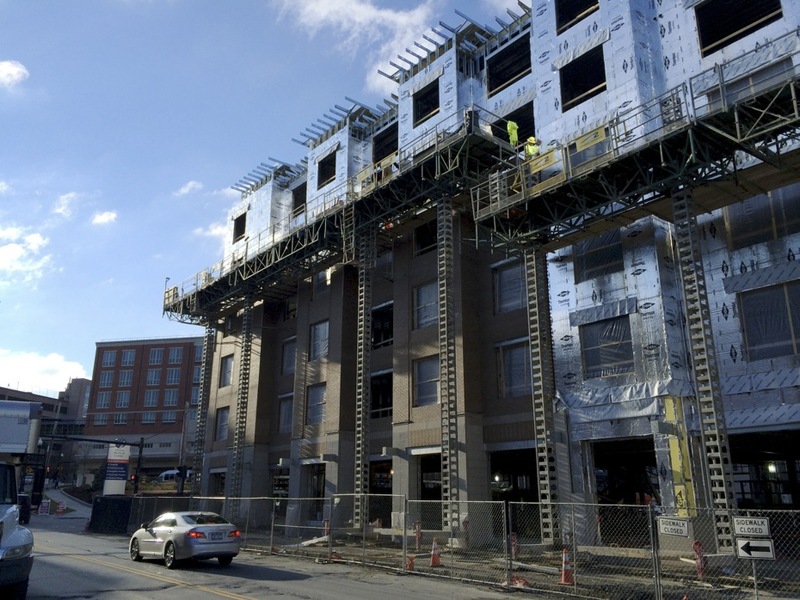 One of the blocks of mixed-use buildings along New Scotland, along with a large chunk of the residential buildings on Morris Street, are also now standing -- some of them even have their facades on. 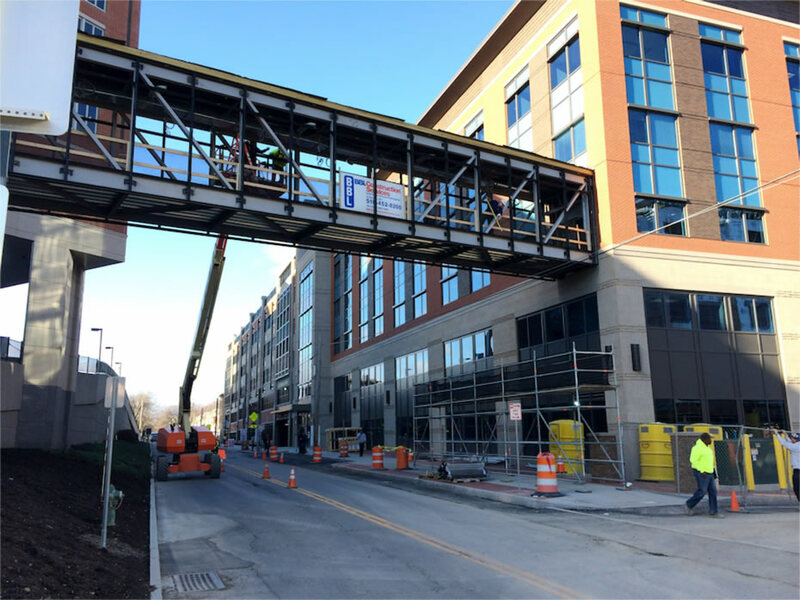 Walking around the site Wednesday we were struck by how the new buildings are shaping the feel of that corridor along New Scotland Ave. The buildings constructed right by Albany Med over the last decade were already lending the area a denser, more urban feel. And the Park South redev buildings are stretching out that feel. It's a remarkable change. 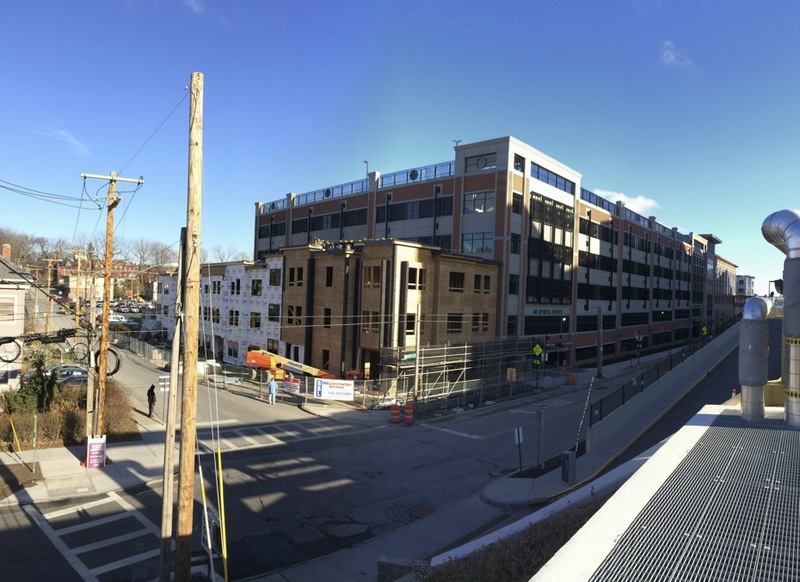 + The parking garage is complete. 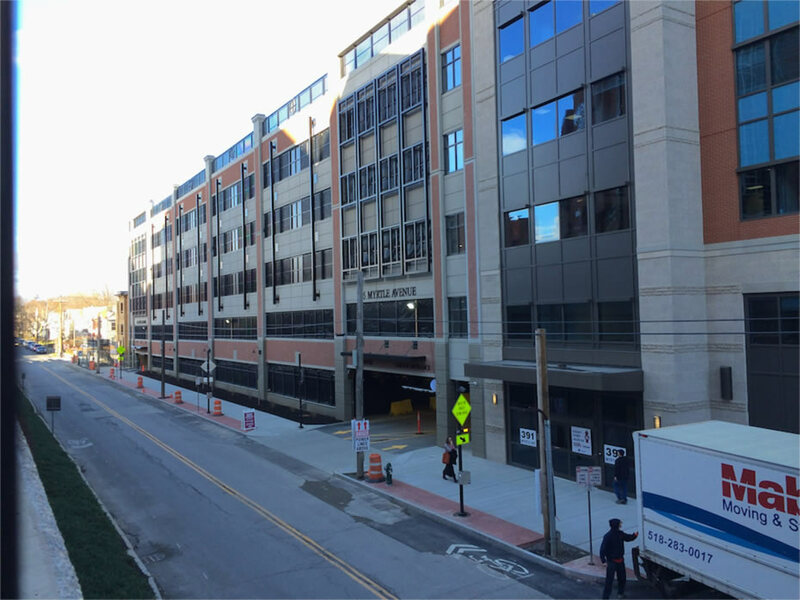 + Construction of the medical office building on Myrtle Ave is complete, and three of its five floors have been fitted out. Rosen said one medical practice has already moved into the building, and a second is scheduled to move in this weekend. He anticipated the building would be fully fitted out by spring 2016. 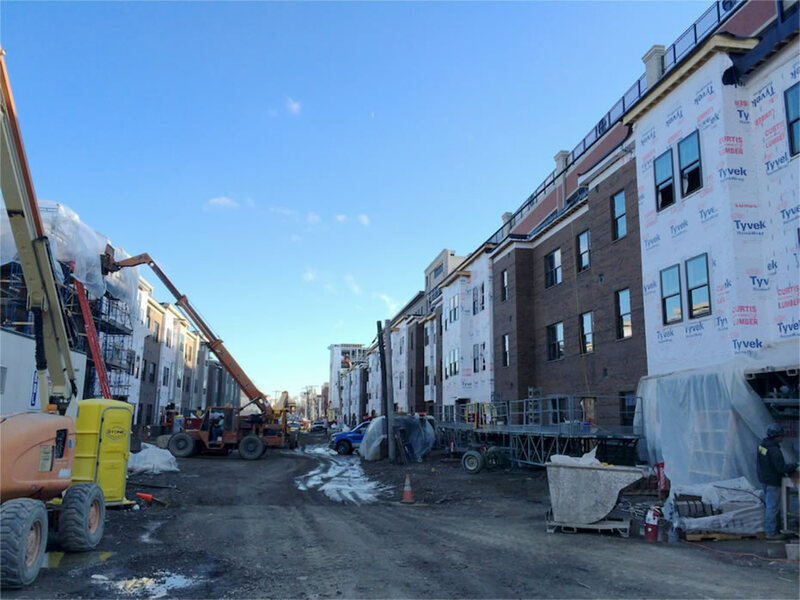 + The rows of housing along Morris Street and the part of the Robin between Morris and Myrtle are scheduled to be completed and ready for tenants by June 2016. Tri-City Rentals will be managing those properties. + The six-story mixed-use building on New Scotland Ave between Myrtle and Morris is scheduled to be completed by the end of August 2016. That building is set to have retail on the street level and residential on the five floors above. Tri-City will also be managing the retail space, but Rosen mentioned that the Bank of America branch currently on New Scotland Ave in Park South would be moving into the corner retail space of the building at Myrtle and New Scotland. + The other rows of residential -- on Dana Ave and the section of Robin at Dana -- are scheduled for June 2017 completion. + The second mixed-use building -- on New Scotland between Morris and Dana -- is scheduled to be finished by the end of summer 2017. Thanks for the update. It would be interesting to see a mash up of photos of the new structures with the renderings offered by the developers during the vetting process. Paul - The buildings are uninspired both architecturally and urbanistically. And that mega parking lot is a monstrosity. But a Chipotle in the city? That makes it all better! Almost. @Jason: I added a few of the final renderings above for direct comparison. It looks like things are shaping up pretty much as projected in the renderings. I don't think it would be surprising if it happened. That area gets plenty of people passing through it each day. Chains often seem a little hesitant to take up space in this area if the spot doesn't have a lot of parking. But Panera is there already and seems to be doing well. I honestly don't have huge philosophical issues with uninspired buildings - most of the built environment in our country is hideously ugly. But yeah, a Chipotle would make it that much more acceptable! Main difference between rendering and reality is that the rendering Greg posted of Robin at Myrtle shows a sidewalk on the south side of Myrtle. In reality, the only street level sidewalk on Myrtle from Robin to New Scotland is on the garage side of the street. 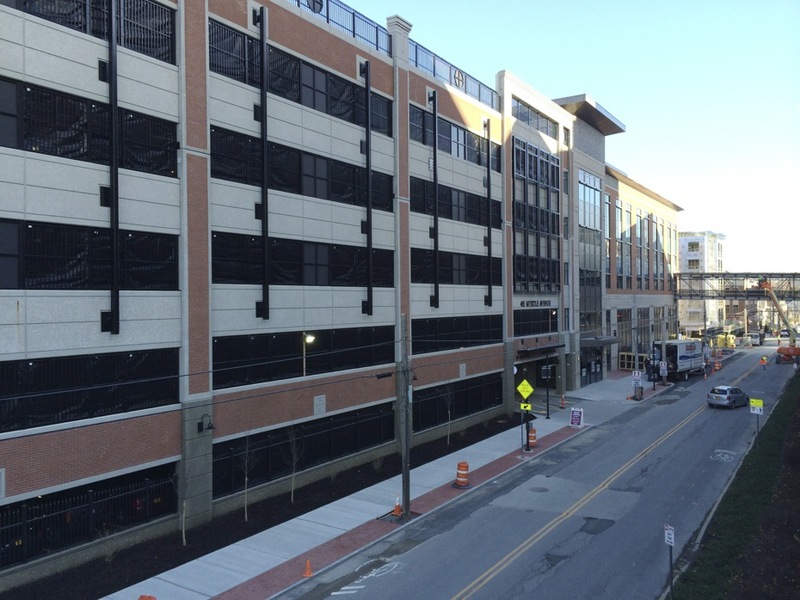 Once the garage and medical office building are fully operational, walking on the sidewalk and passing the entrance and exits to the garage at peak travel times could be challenging for people who walk. Tried to get this addressed to no avail. Chipotle will be a perfect fit...you can stuff your face, walk right out the door and straight into Albany Med for your E. Coli treatment. Brendan, I'd trust E. Coli with my life over the staff at AMC any day. Agree with several of the above comments but as far as monstrous car garages go that is about the best anyone could have ever hoped for....ie think Government Center Parking Garage in Boston for utter disastrous brutalist pox mark on the Boston urban fabric. If these apartments rent out and remain full of productive people it could be a real turning point for Albany. Combine this with the convention center(?? ?benefits), with the New Renaissance Hotel and all the other apartments coming online, as well as the Sheridan Hollow development we may even start to see a City climbing back from the dead....yeah yeah...there are still PLENTY of other affordable units in the City for those of lesser means.....maybe we can all learn to live together in peace and harmony...or whatever John Lennon babbled. Now if we could just get the Empire State Plaza reinvigorated and out of 1976 and maybe a little retail, say a museum or aquarium..or a little Quincy Market-Church street type area....yikes...what a cool place Albany will be........can't wait to hear the naysayers....ready GO! PS...do whatever it takes to LOWER property taxes...have Mayor Sheehan pole dance at Dicarlo's or anything...once you get the middle class back from the banal burbs we will ALL be better off......being city DOES not equate with having to be like Manhattan or LA!!!!! But as you point out, there should be available parking nearby in the garage, especially at night. So hopefully parking won't be an impediment to getting good retail tenants -- whether they be national or local.